Today Groupon has 50% off a Priority Pass lounge access membership for £6. You can join Groupon for free here if you are not a member. You also get 50% off your first purchase. If you get fed up with the emails, just unsubscribe as I shall hopefully cover any decent travel deals here. Once you have made your Groupon purchase you then need to go to the Priority Pass website to enter the voucher and buy the required membership. 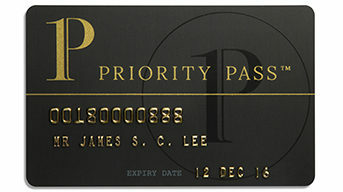 Priority Pass have 1000 lounges worldwide. They have also introduced lounge access with a Digital Membership Card on their app. This is one of the most cost-effective ways to get lounge access for a very frequent traveller if you are not always in Business or First Class. 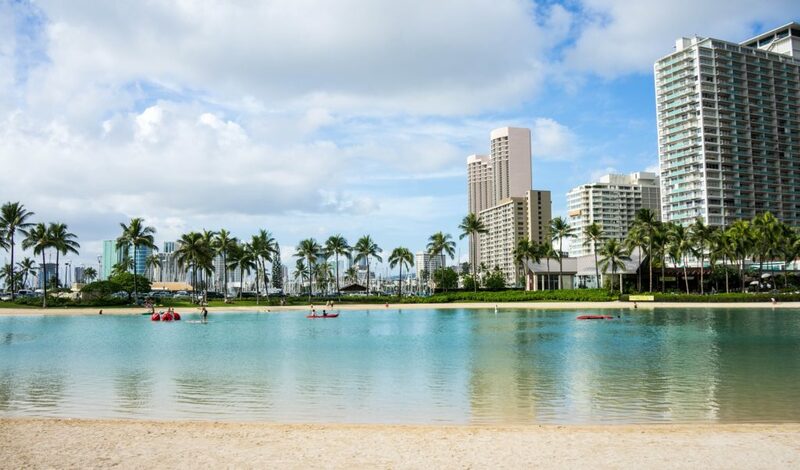 You can also get a Priority Pass membership with the American Express Platinum card which included unlimited visits including one guest per visit too. The Groupon Priority Pass page is here. Hilton Honors members will earn 10,000 Bonus Points on every tenth night, once members reach at least 40 nights in a calendar year. There is an additional bonus at 60 nights in one year – a 30,000 Bonus Points reward. Starting this year, Silver, Gold and Diamond members can rollover qualifying nights earned beyond their current elite tier requirements to count towards tier status the following year. 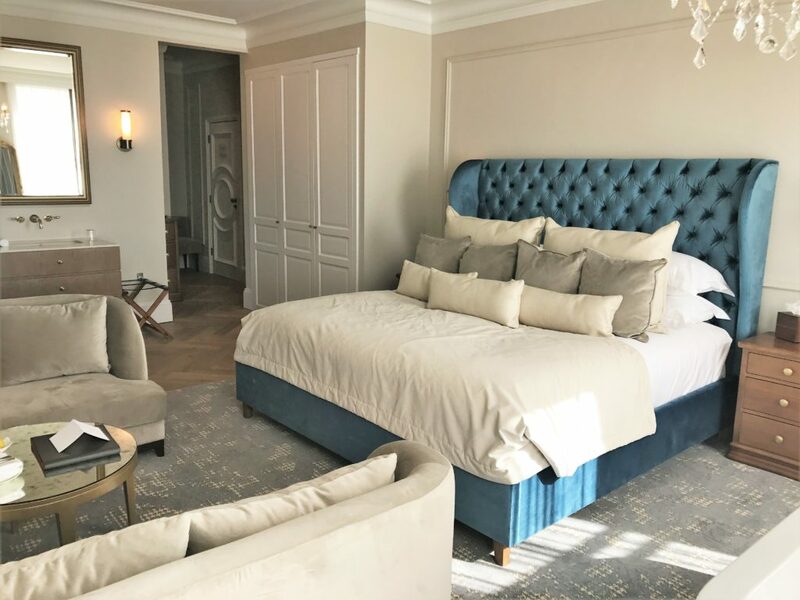 Gold and Diamond Hilton Honors members can now also get complimentary Continental breakfast or a food and beverage credit at Waldorf Astoria Hotels & Resorts as well as the existing brands included. Here is the official Hilton Honors announcement page. Although I don’t really feature BA economy, I thought I would share the latest news as I know quite a few readers have to travel in economy on business if they can’t use their miles to upgrade. I mentioned in this interview with Alex Cruz that there were big changes coming from economy catering and they have now been formally announced. British Airways yesterday announced a multi-million pound investment in its World Traveller food, which had been cut substantially on some routes in 2017 with a mini chocolate bar as the second meal! *The airline’s longer flights are: Bangkok, Beijing, Buenos Aires, Cape Town, Chennai, Hong Kong, Hyderabad, Johannesburg, Kuala Lumpur, Las Vegas, Lima, Los Angeles, Maldives, Mauritius, Mexico City, Narita, Oakland, Phoenix, Rio de Janeiro, San Jose (California), San Jose (Costa Rica), Santiago, San Francisco, Sao Paulo, Seoul, Shanghai, Singapore and Tokyo (Haneda and Narita). An example meal service would be pretzels and a drink. 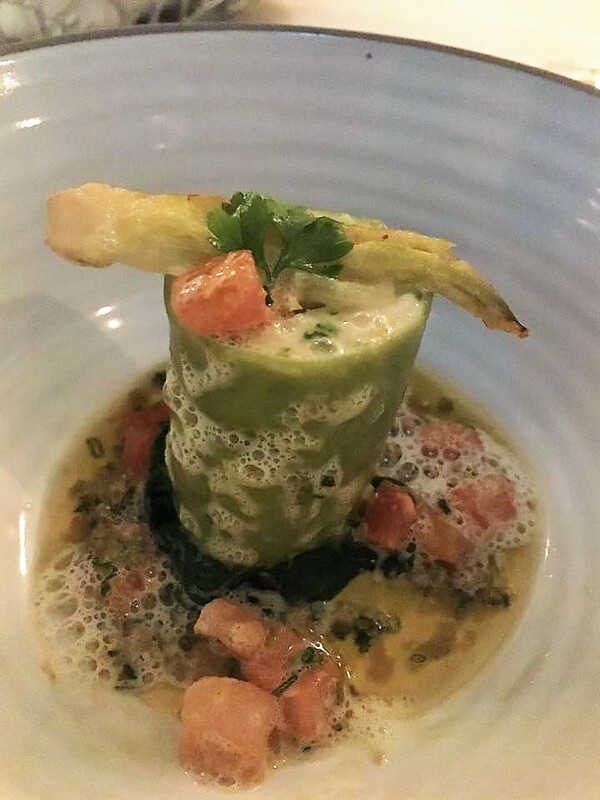 Then a four-course meal such as a starter of couscous salad, followed by a main course of chicken casserole with an ale sauce, colcannon mash and seasonal vegetables, or a vegetarian tomato, farfalle and vegetable dish. Dessert will be a Pots & Co salted caramel and chocolate mousse, followed by biscuits and cheese. The meal will be accompanied by a bread roll and a bottle of Highland Spring water. 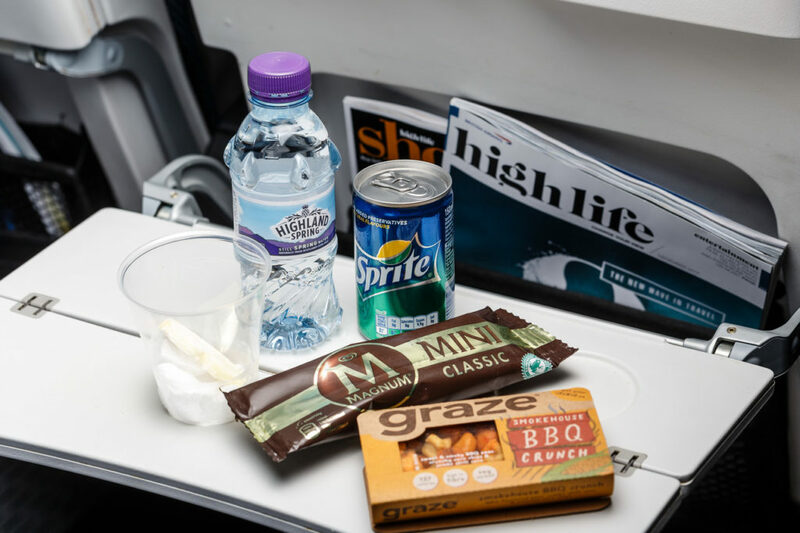 On the shorter daylight long-haul flights to destinations such as New York and Dubai, you will also get a sandwich such as egg and cress with a chocolate or Nutri-Grain bar as the second meal. 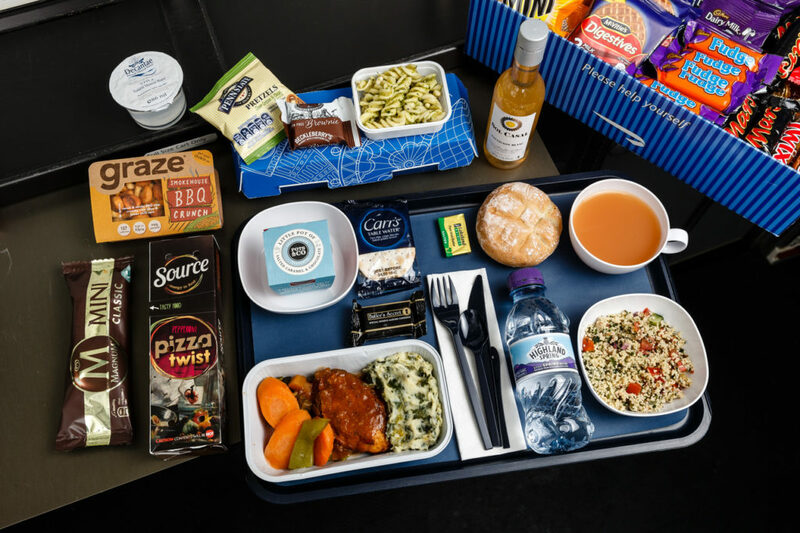 Those on longer daylight flights to destinations such as Cape Town and Hong Kong will receive a hot meal, such as a pizza wrap, with a pot of pasta, a chocolate brownie and a drink, as well as a smokehouse BBQ crunch Graze movie-snack box. A hot English breakfast will also be served on these longer flights that operate overnight. Customers on daylight flights from London will be offered a range of Magnum ice-creams, while those on night flights will be offered a tuck-box with options such as Dairy Milk Buttons, Twix, Kit-Kats and Mini Cheddars, which will also be available in the galley for them to help themselves to (not many healthy choices there!). The first flight with the new catering on January 17 will be the BA117 from Heathrow to New York JFK departing at 8.25am. So basically they have pretty much just put back what they took away as part of their very poorly received cost cutting. 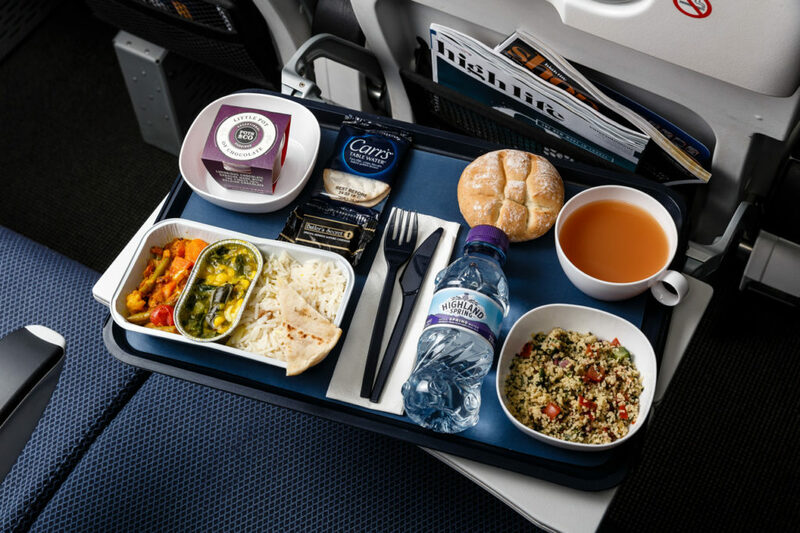 Unfortunately, nearly all airlines do this on a continuous cycle of cuts and investment but at least BA now seem to be on the upward trend in terms of food. You may remember reading my review of Lympstone Manor in September or seeing it on my list of favourite hotels for 2017. Secret Escapes have launched another offer if you fancy a gourmet break there. The hotel has gained 1 Michelin star since we visited. The hotel is set in a Grade II listed Georgian manor house on the Exe Estuary in Devon with food by Michael Caines MBE. The food is modern British cuisine using fresh and seasonal ingredients. All this is complemented by an excellent wine selection that has over 600 wines. If you are into wine, you can partake in a tasting session. Secret Escapes have an offer for £305 night for the Deluxe Garden room including breakfast or £465 with dinner as well. There is an additional £15 booking fee as well bringing it to £320 or £480. Comparing this with the hotels’ own offers, Secret Escapes is cheaper by £90 even after the discount. However, if you didn’t mind a smaller Classic room you can get one on Lympstone Manor’s own website from £220 with their bed and breakfast offer which is valid for stays between 2nd January and 30th March 2018. For those unfamiliar with Secret Escapes, it is a members-only website with hand-picked hotels, holidays and exclusive offers. They guarantee to offer the best rates online during a sale. Every week they run up to 140 short ‘flash sales’ lasting around ten days each. You will need to join Secret Escapes to book but it is free to join. If you use this link to sign up you will receive £15 credit off your first booking. 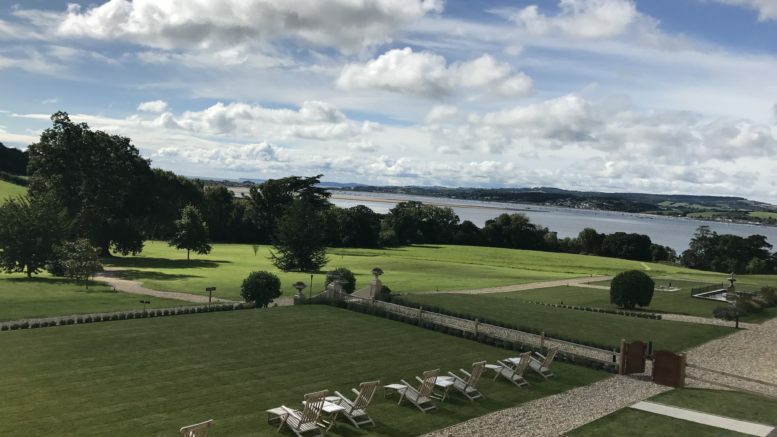 Be the first to comment on "News & offers: Priority Pass 50% off, BA changes, Hilton Honors changes,1 Michelin* Lympstone Manor"